Some celebrities had no choice but to wait tables and wash cars while they worked their way to the top. Others enjoyed the cushy lifestyle, provided by rich and famous parents, before they went out and made their own money. Check out the following list of stars who were born rich. 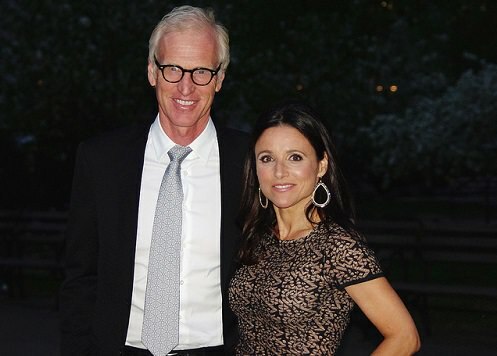 Best known for her roles as Elaine on the 90s sitcom “Seinfeld” and Christine on the sitcom “The New Adventures of Old Christine,” Julia Louis-Dreyfus is an heiress to Louis-Dreyfus Energy Services. In the 19th century Julia’s great-great-grandfather Leopold started the Louis Dreyfus Group, a high quality commodities and multinational shipping company, which is still controlled by their family. Her father, wealthy financier Gerard Louis-Dreyfus, served as Chairman of the Louis-Dreyfus group of companies, so the actress had it made before she ever lifted a finger. Even though Julia has half-sisters Emma and Phoebe, she is going to inherit a great portion of the family fortune. Born with the grand name Julia Scarlett Elizabeth Louis-Dreyfus, she really never had to work a day in her life. Her estimated net worth totals to $3 billion. But Julia loves her work and she is considered to be a very successful American actress, producer and comedian. Throughout her career Julia Louis-Dreyfus has received two Emmy Awards, a Golden Globe Award, and five Screen Actors Guild Awards.